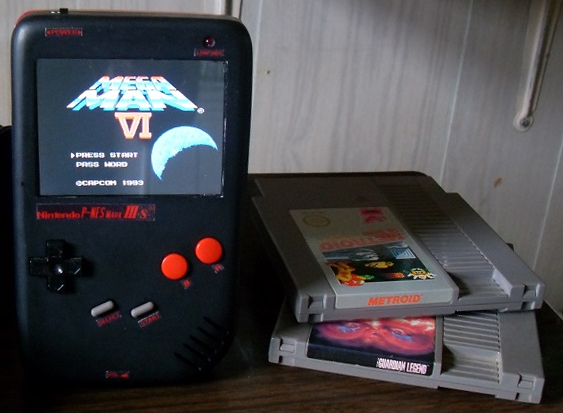 When I originally built this little guy, it was a personal crowning achievement for the Mark line of NES portables. 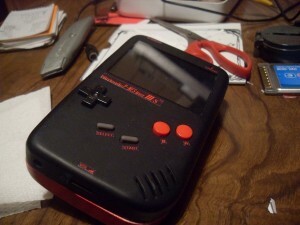 The overall size of the custom vacuum-formed case was nearly identical to that of an original Game Boy, offered reasonable battery life, and just felt nice and balanced to hold in your hands. 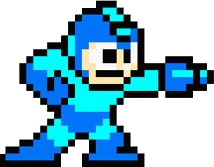 So, why in the style of the original Gameboy, you ask? 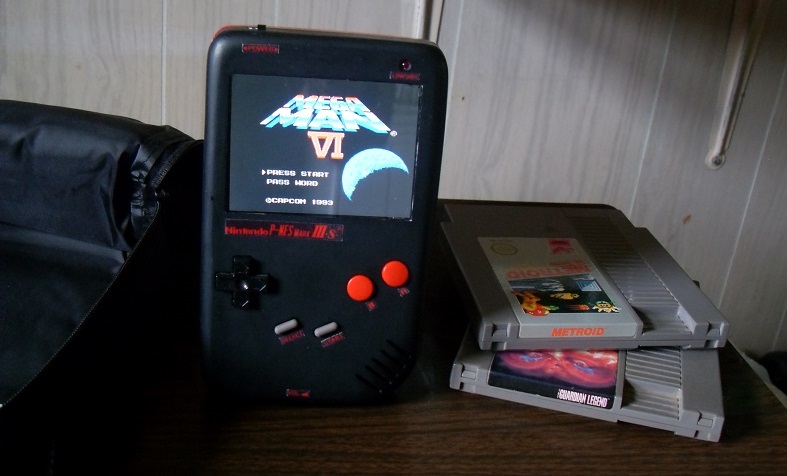 Well, NOACs (Nintendo On A Chip Clone Systems) like the Retro-bit used for this portable have a tendency to ‘death grip’ carts. Because of said grip on the carts, I found that I could get away with having nearly all of a game cart housed outside of the case without any internal support needed to keep the games in place. Since the cart would be almost completely outside the case, a vertical arrangement figured to be best for weight balance. Also because the cart would be positioned vertically, that means the case would need to be taller as opposed to wider and thus, a portrait style case like the original Game Boy was planned. 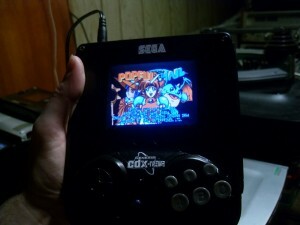 As Midwest Gaming Classic 2014 was fast approaching (and how my likho curse likes to strike), the portable Sega CDXtreme project I was going to put on display decided to stop working for no explainable reason (still haven’t exactly figured why it quit working, but more on that at another time. In any case, I needed a project that I could get up and going quickly. I opened up my projects desk drawer for inspiration to find the dusty shell of a former portable staring back at me. 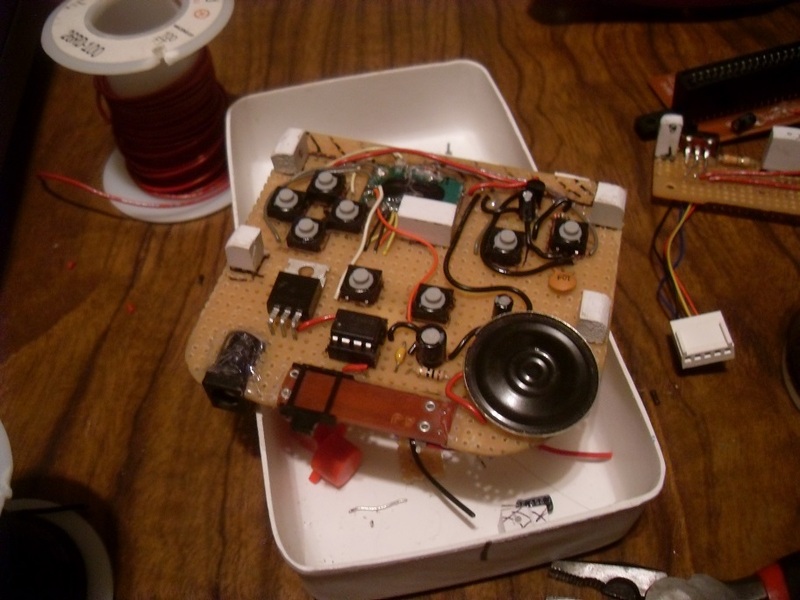 I knew the guts of this beast still worked, so I just needed to address all the internal flaws and redesign the inside layout. 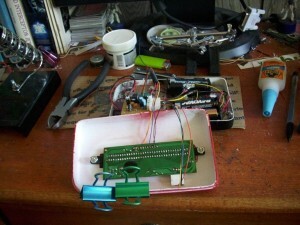 Thus began the rebuilding of the P-NES MarkIII. The biggest flaw the MarkIII suffered from was the overuse of hotglue to hold all the parts in place. Glue may work great to hold a screen in place, but with the parts that get actuated, like repeatedly pressing controller buttons or turning a power switch on and off, the glue quickly gave out, rendering the unit unplayable. Another flaw it suffered with was the wiring. Too much of it, in fact. An abundance of wires are the enemy when it comes to portables. The fewer wires you have, the cleaner the insides will look for easier troubleshooting, and less likely the case will find itself getting poofed from a rats nest of unnecessary clutter. The last big flaw was how almost everything was on separate boards or was just floating in the case attached by hotglue and had no real board or structure at all. 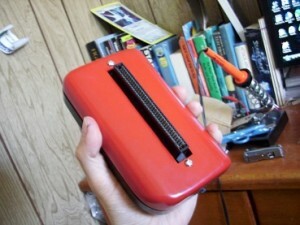 With the redesign, all the components were mounted in place with screws instead. The only glue in the case was used to adhere the screw posts in place to provide additional structural support on the charge plug and volume dial. Everything else is screwed in or soldered in place. This allows for easy access to all of the major components and it can be pulled apart, powered on, and even played without its shell, something you could not do with the original MarkIII design. 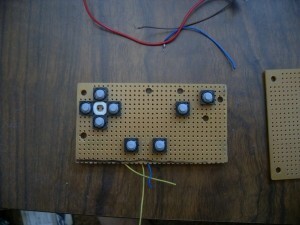 The next big change was the rebuilding of the controller board. The original controller had some very poorly placed mounting points and used piles of wires due to it consisting of two separate boards; one with the necessary buttons, and the other with the unit’s main glop-top motherboard. For the upgraded design I merged of all the vital circuit groups (the audio amp, video amp, and controller portions) onto one large board and created one small separate board specifically for the power switch and low battery indicator. Both boards also serve the dual purpose of holding the screen in place as well. Another notable change was with the battery. Originally the portable used 6 AA’s to power it, but the overall thickness proved to be a issue. Since I have recently had success with Li-Ons in Nomad battery mods, it was decided to instead use a fully internalized Lithium-Ion battery pack. Thanks to the greatly increased space inside the case on account of the redesigned singular board set up, there was plenty space to add MORE POWER; 10,000mAh of NES goodness! A few other cosmetic changes were added as well, such as the addition of a clear acrylic sheet over the screen to protect the LCD, a low battery indicator LED, and of course, a new paint job, new decals and a new name! I decided to go with the -S designation since we all know S stands for SUPER! Overall, the newly improved portable is as sturdy as can be with exceptional battery life for a portable anything; we’re talking a crazy 18 hours of solid play time! I had this little guy running for almost the entire MGC event on a single charge- with many people picking it up and playing Contra on it from time to time. Obviously, the size is all but the same as it was before since it is still the same case. However, it is much heavier than before with the Lithium pack adding much of the added weight. Not a big deal though, as I feel the extraordinary battery life more than makes up for it. Storage is easy enough. 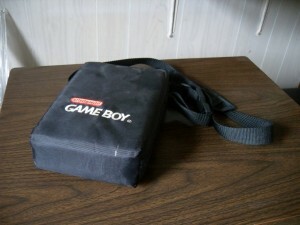 Most of the cases made with to house the Original Game Boy or the Sega Game Gear will easily fit this portable. I found this great Gameboy case at MGC 2014. With its plastic inner portion removed and the system arranged sideways, I can fit the MarkIII-S and even a couple of NES games in it! 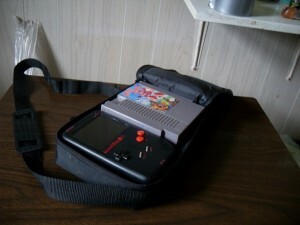 While this recent addition to the P-NES portable family is definitely pretty beastly, it’s most certainly not the end of the P-NES lineage. There are still many things to come that can be improved upon and added to the design. Someday these ideas may surface. We’ll see what transpires in the times ahead.